Biomedical Research Foundation (BRF) aspires to be a center for excellence in biomedical research to improve the quality of life. This Institutional Review Board (IRB) evaluate the ethical aspects of proposed research protocols affiliated with BRF involving primarily human subjects. Potential threats to the environment that affect human health indirectly, will also be evaluated by BRF Ethical Review Board (BERB). According to the institutional research policy, it is important to emphasize that BRF is not and will not be engaged with clinical trials including new drugs, vaccines and invasive medical devices involving human subjects. This IRB follows a standard guideline that has been adapted based on well-accepted ethics and regulations practiced in the scientific community around the world. Professor Hossain is one of the renowned clinician researchers in Bangladesh with over 25 years of experience. Recently has retired as Head, Department of Microbiology and Mycology at NIPSOM (National Institute of Preventive & Social Medicine). Before moving to NIPSOM, Professor Hossain was Head of Microbiology Department, Mymensingh Medical College, where he also served as a member of IRB. He was a Commonwealth Medical Fellow at CPHL, London and JICA fellow at Osaka University, Japan. He obtained FRCP from Edinburgh. He served as Microbiologist under Ministry of health KSA, traveled and attended Seminar, symposiums in Different countries including UK, France, Japan, KSA, Thailand and India. Professor Hossain has co-authored over 100 peer reviewed publications. His area of research includes microbiology, epidemiology and medical education. Professor Hossain has authored three medical books on Immunology, Parasitology and Assessment of Microbiology. 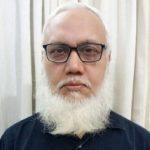 He supervised over 30 students in MPhil Microbiology under University of Dhaka, and co-supervised two PhD students from Sapporo University, Japan. In the past he served as microbiologist under Ministry of Health KSA, traveled and attended seminar and symposiums in UK, France, Japan, KSA, Thailand and India. As an experienced organizer, Dr. Hossain was one the founding members of Sandhani a charitable organization run by Medical students. Professor Aziz had a pioneering role in to establish the Ethical Review System in Bangladesh. He has over 50 years of leadership in various academic capacities and in national and international institutions including the International Center for Diarrheal Disease Research, Bangladesh (icddr, b), the Bangladesh Academy of Science, North Carolina Central University, the Ministry of Health (Saudi Arabia). In recognition of his outstanding contribution in the field of Oral Rehydration Therapy (ORT) for diarrhea management, the American Association for the Advancement of Science (AAAS) elected him as a fellow in 1985. He is an elected Fellow at Bangladesh Academy of Science, where he also served as the General Secretary (2014-2016). After obtaining a PhD from Duke University, North Carolina, USA in 1965, he joined as an Associate Professor in the Department of Biology at North Carolina Central University. To serve his country, he returned to Bangladesh in 1966 and started working for Pakistan SEATO Cholera Research Laboratory Research Laboratory (CRL) and played a key role in transforming the CRL into icddr,b, where he served as its Head of Laboratory Sciences Division and as as Associate Director, Training, Extension and Communication from 1978-1986. Professor Aziz earned the lifetime achievement award from the Bangladesh Society of Microbiologists in 2015 and subsequently honored for the award at icddr,b in 2016. He is the founder Secretary General (1980-Present) of the Asian Conference on Diarrheal Disease and Nutrition (ASCODD) and also the founder Secretary General (1984-1991) of the African Conference on Diarrheal Disease (AFCODD). He has published over 70 articles in peer-reviewed international journals including publication in Nature, Science and Lancet, and has published numerous popular science articles in the fields of health and environmental sciences. He is one of the prominent researchers in the area of applied statistics. Dr. Khan works in high-dimensional data analysis (censored or complete), with his main research interest being in variable selection or variable reduction or model selection techniques and also in statistical inference with censored data found in fields like Statistical Genomics, Bioinformatics, Biostatistics etc. LL.B (Hons) and LL.M from University of Dhaka, MS in Criminology (DU). She is having 10 years of professional experience in practicing law in the Lower courts and in the Supreme Court of Bangladesh and 5 years in teaching law in different private universities.